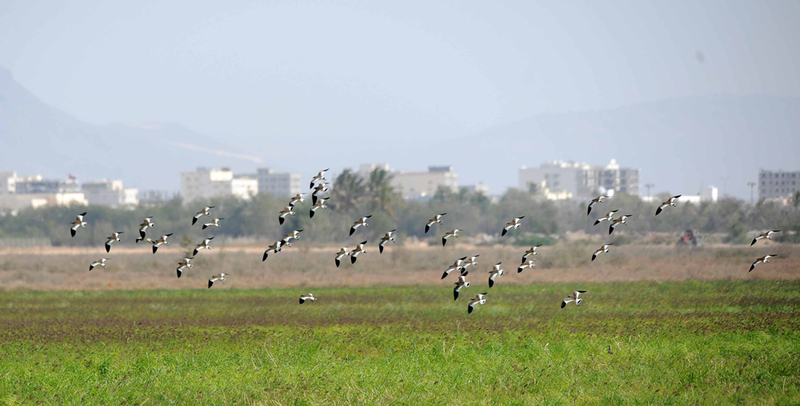 Exciting news has just reached us that a country record flock of 90+ Sociable Lapwings was present at Salalah in Oman on December 25th, 2010. The record was submitted to the Amazing Journey team by Spanish birder Daniel Lopez Velasco who was on a birding trip to Oman with friends when they encountered the birds. You can see Daniel’s excellent images of part of the flock in this post and watch his short video of one of the birds feeding here.